Some foods are so obviously bad for your teeth that they hardly need mentioning. Other foods may be good for your overall health, but not so good for your oral health. 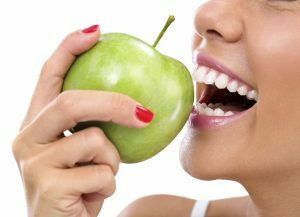 There are still other foods that you may have thought were not necessarily bad or good for your teeth. To set the record straight, Massapequa dentist Dr. Dory Stutman or Dr. Khalida Stutman want to take this opportunity to lists the foods you should try to avoid and why. Sugary foods. Here’s one of those categories of foods that almost everyone knows is best not to eat too often. The question is why? When you eat foods with high sugar content, the acidic level in your mouth rises. Over time, this acid can erode tooth enamel, leading to tooth decay and possibly causing stains. Sticky foods. Think chewy candy and dried fruit. Not only are these treats high in sugar, they also get stuck on and between your teeth. Then, sugar can remain in your mouth for hours, feeding bacteria and increasing the risk of tooth decay. Pickles. What could be bad about a delicious New York deli pickle? The cucumber is great for your health and a dieter’s dream, but the vinegar that is essential to the pickling process is loaded with acid. Potato chips and crackers. These crunchy and satisfying snack foods are filled with starch that gets easily trapped in the pits and grooves of your molars. If you do eat these, be sure to take extra care when your brush and floss at night in order to remove every last crumb so there’s no chance for bacteria and plaque to accumulate. Citrus fruits. Oranges, tangerines and grapefruit are all excellent sources of vitamin C, which is vital to your health. However, the acid in these can wreak havoc on tooth enamel, leading not only to cavities, but sensitive teeth, too. Coffee and tea. Okay, you know that both of these beverages can stain your teeth. But did you know that caffeinated coffee and tea dries out your mouth, and a dry mouth is a breeding ground for bacteria? In addition, if you sweeten your drink, then every sip you take washes your teeth with sugar. So, when you do enjoy coffee or tea, try to limit the sugar and be sure to drink plenty of water afterwards. Bottled water. Speaking of water, bottled water is not as healthy as your might think. During purification, most of the fluoride is eliminated and the process itself increases the acidic level. For more tips on what to eat and what not to eat for your dental health, call South Shore Dental Care. by: South Shore Dental Care at September 8, 2016 .